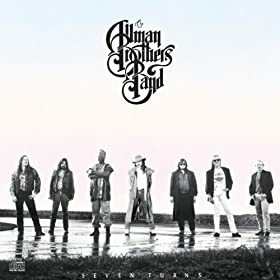 The Allman Brothers Band's comeback album, and their best blues-based outing since Idlewild South that restored a lot of their reputation. With Tom Dowd running the session, and the group free to make the music they wanted to, they ended up producing this bold, rock-hard album, made up mostly of songs by Dickey Betts (with contributions by new keyboardman Johnny Neel and lead guitarist Warren Haynes), almost every one of them a winner. Apart from the rippling opening number, "Good Clean Fun," which he co-authored, Gregg Allman's contribution is limited to singing and the organ, but the band seem more confident than ever, ripping through numbers like "Low Down Dirty Mean," "Shine It On," and "Let Me Ride" like they were inventing blues-rock here, and the Ornette Coleman-inspired "True Gravity" is their best instrumental since "Jessica."